Indonesia undoubtedly offers on of the best scuba diving in the world! 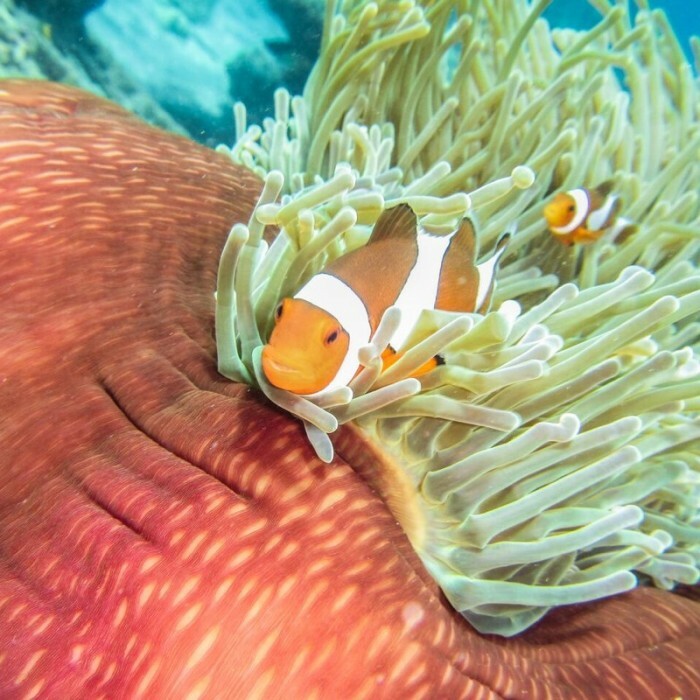 Home to 20% of the world’s coral reefs, some of which are still in pristine condition, and around 3,000 fish species, the underwater exploration opportunities are seemingly endless. For those experienced in diving, as well as new divers taking their first steps, it’s a country hard to match. From the tourist hot spot of Bali to the unexplored archipelago of Raja Ampat, I’ve travelled across the country, but when it comes to Indonesia’s underwater world, I’ve only just scratched the surface. For those considering taking the plunge, here’s a taste of what is on offer. Remote, untouched and awe-inspiring, the reefs of Raja Ampat, referred to as the ‘Amazon of the Underwater World’ for their species richness, are unmatched when it comes to diving in Indonesia. From manta rays to giant morays to titan triggerfish, the marine life is astounding, and with few travellers venturing this far, you will have the dive sites largely to yourself. It is possible to do Open Water Courses here, but keep in mind that prices are much higher than other spots in Indonesia, and once you dive in Raja Ampat, it is going to be hard to beat! Getting to West Papua and out to the archipelago is far from easy (or cheap), but the rewards are well worth it. For serious divers there are a number of ‘liveaboards’ that cruise the waters during the October to April dive season, or a few remote dive resorts scattered throughout the islands offering all-inclusive deals. Bunaken in the north of Sulawesi is an idyllic paradise offering fantastic macro and muck diving within the Bunaken Island National Marine Park. Located in the South Sulawesi Sea, it covers around 75,000 hectares and more than 20 different dive sites, including a lot of good wall dives. It is home to an incredible diversity of coral and the black sandy floor harbours some weird and wonderful creatures that will appeal to experienced divers who have ‘seen it all’. In addition to dugongs and sperm whales which are occasionally sited, the ancient coelacanth was recently discovered in the lava tubes of Manado Tua, attracting international media attention to the region. The currents here can be strong, however, making it less suitable for inexperienced divers, although there are easier sites where Open Water and Discover Scuba Diving Courses are conducted. On the far north-west coast of Bali, far from the tourist crowds of the south, lies Menjangan Island. It has asserted its place as one of Bali’s top diving destinations for its 35-metre high walls that drop from the island’s perimeter, with immense Gorgonian sea fans and a captivating macro life, ideal for underwater photographers. Pygmy seahorses, orang-utan crabs and vibrantly coloured nudibranches can all be found with a good eye. The fish life is abundant, but its the diversity and breathtaking beauty of both soft and hard corals that is the main draw card here. Shallow sloping sandy reefs on one side, as well as an artificially created reef, easily accessed from the beach at the nearby tourist town of Pemuteran, make it an excellent choice for those doing their Open Water Course or Discover Scuba Diving, while strong currents are a rarity. There are plenty of dive schools to choose from and instructors available in English, French, German and Dutch, but if you want to avoid diving with the crowds, then visit outside of the July/August high season. The Banda Islands (otherwise known as the ‘Spice Islands’) in Indonesia’s Maluku Island group offer some fantastic diving, but are more of a challenge to get to with flight and ferry connections unreliable. But you’ll be rewarded with uncrowded dive sites where big pelagics and large schools of fish patrol the waters, while there are some unique dives on the lava flow at the base of Gunung Api, the volcano towering over the small town of Bandaneira. While ‘liveaboard’ dive boats travel through the archipelago, a big part of the appeal here is the above water colonial history, and staying on the islands themselves allows you to really be immersed in it. The islands were heavily fought over by the Dutch, Portuguese and British due to the lucrative nutmeg grown here and the faded charm of the crumbling 16th Century architecture is magnificent juxtaposed against this Asian tropical paradise. There are only a scattering of dive operators here (and some close down outside of the March/April and September to December high season), but it is possible to dive year-round, although the diving caters to those already with Open Water or Advanced certification. Another great, easily accessed spot for beginner divers interested in doing courses are the Gili Islands, just offshore from Bali’s eastern coast. Dive prices are low, there are only gentle currents, and the backpacker beach-side party scene is well and truly alive. The reefs here are not as impressive as other spots (and probably won’t leave experienced divers overwhelmed), but there are plenty of turtles in the water that make it quite special, as well as reef sharks, stingrays, and huge bump head parrot fish. The great thing about the Gilis is that if you are travelling with a non-diver, the snorkelling is also good, and there is plenty of action away from the water to keep them occupied. Keep in mind that if you are diving here (and intending on partying at the same time), you need to keep alcohol consumption at a minimum on nights before diving as the health consequences can be severe. With most dive centres throughout Indonesia, prices include all equipment hire, although it’s possible to get discounts if you have some (or all) of your own. Consider bringing your own mask, snorkel and fin set (including ankle-covering booties if your fins have back-straps) that you know fit you well, as well as your own dive computer. While your Dive Master or Instructor can manage your depth and decompression on theirs, it’s always best to have you own. If you’ve got the space, then also bring a full-length 3mm wet suit (men, women). While the water temperature in Indonesia is around 27-29 degrees Celsius, you’ll be surprised how cold you get after 45 minutes in the water and with full-length coverage you won’t be susceptible to jelly fish stings. For those keen to document their dive experience, then an underwater camera is a ‘must’. A compact Go Pro model with LCD display that is waterproof to 30 metres will do the job for new divers or GoPros are ideal as their light weight won’t affect your buoyancy with a proper hand buoy. Invest in a red filter to help compensate for the loss of light at depth and anti-fog strips will stop your lens from getting cloudy. For experienced divers looking to invest in underwater housing then make sure it has at least a 40 metre water proof rating to cover any deep diving you might be doing. Also pack waterproof sunscreen for face and body, some water resistant plasters and a waterproof bag to keep everything dry during the boat trip out to dive sites. If you’ve already completed your Open Water Course (or more advanced training) then don’t forget to bring your certification card and log book with you – it will help the dive centre assess your experience in the water and group you with other suitable divers so you get the longest bottom time possible.